Completing your continuing education by the November 30th deadline has never been easier. 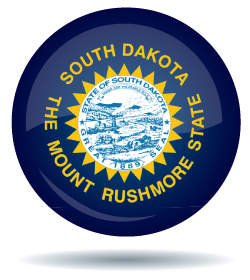 We have compiled the best courses for South Dakota Real Estate agents to help you not only renew your license but to learn the latest in real estate market trends so you can be successful. This complete package includes all 24 hours of CE required for Broker active license renewals. This complete package includes all 24 hours of CE required for Broker active license renewals. The courses in this package feature an emphasis on building and growing your business. This complete 24-hour package is perfect for agents seeking courses focused on commercial education. This package includes 12 elective hours of CE required for broker active license renewals. This 12 hour electives package includes the latest and most comprehensive information available for agents focused on commercial real estate. In a race, you don't finish unless you cross the finish line. A real estate transaction can be similar. All the hard work, the showings, the negotiations, the contracts, and the communications are all part of the race. The final step, finish line, comes at the closing. The signing of all the documents and transferring of ownership from one person to another comes at the finish line. The U.S. Department of Housing and Urban Development (HUD) acquires thousands of homes every year through foreclosure on properties that had Federal Housing Administration (FHA) insured mortgages. This course explains the processes and procedures involved in listing and selling HUD homes, including how the properties are awarded to individual brokers for listing, how brokers and agents are compensated for these sales, and how they are listed and marketed. This course covers the Code of Ethics and Standards of Practices established by the National Association of Realtors (NAR). The Articles of the Code are supplemented with a definition of terms, examples of ethical and unethical practices, scenarios, and decision making exercises. Violations and sanctions are also addressed. THIS COURSE MEETS 3 of the MANDATORY 12 HOURS OF ETHICS. All of the various forms of residential real estate financing; including conventional, FHA, VA Loans, loan assumptions, purchase money mortgages, alternative financing are explained in this course. Also covers legislation relating to financing. Presents methods and principles for pricing property. Covers pricing compared to appraisal, basic concepts of pricing property, principles of value, approaches to pricing property, and application of the market data and replacement cost methods. Course covers types of tax benefits for homeowners and how to calculate the taxes that will impact the purchase of a home.